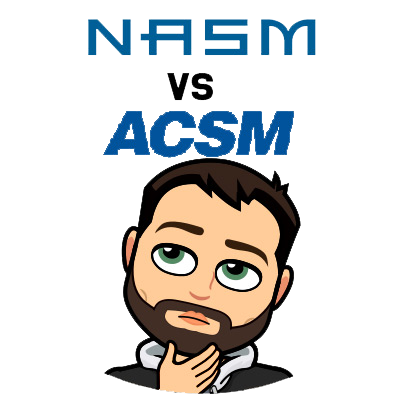 NASM vs ACSM – Which one should you opt for in 2019? Hey everyone, and welcome to my ACSM vs NASM comparison battle. By the end, you will be able to choose the certification that suits your unique training style. After the full comparison, I recommend checking out the individual websites of ACSM and NASM. 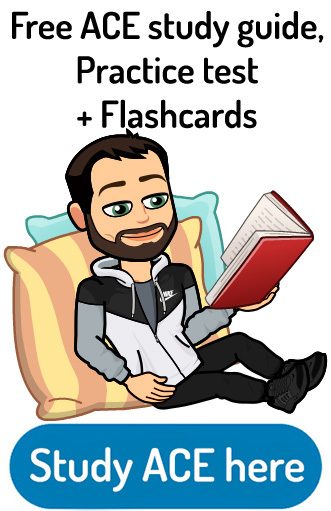 If you are in need of study materials, take a look at my NASM flashcard study system. My Guide on the top 5 Personal trainer certifications is also a must read! Or if you like vs articles you might like my article NASM vs ISSA, NASM vs ACE or ACSM vs ACE. It’s strongly recommended that you Take the quiz to find out which PT certification is the best match for you. Both the ACSM and NASM certifications are considered corrective exercise certifications. Both are also accredited by the NCCA. ACSM allows you to pick and choose your study materials whereas NASM has various packages that consist of different study material options. ACSM currently costs approximately $500 while NASM will cost you approximately $550 for their cheapest package. 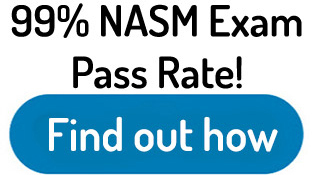 NASM has a slightly higher pass rate at 64% whereas ACSM first-time test-takers have a 54% pass rate. NASM requires you to recertify every two years while ACSM requires recertification every three years. These two personal training certifications have pretty similar focuses overall. The question is – which one should you choose? I would categorize both of these as “corrective” trainer certifications. They both contain a well-designed screening process that lets trainers know what their client’s strengths and weaknesses are. They both have a strong focus on muscular imbalances and how to correct them. ACSM is also a scientific body. They do tons of scientific research in the field of exercise science. Most certifications reference ACSM’s research in their textbooks. ACSM puts much more emphasis on the clinical side of things than NASM. Both of these certifications are great for teaching functional training as well as corrective exercises (especially NASM’s CES). Overall, NASM maintains a stronger focus on program design using their optimum performance training model (OPT). NASM does a better job of relating to personal trainers. ACSM has a strong focus on the scientific process and how to improve the field of kinesiology, but their study material does not break down their research into easy-to-understand chunks of information that can be applied to personal training. NASM takes ACSM’s research and pulls it together into a comprehensive, progressive model that can be used by everyone. They also touch upon other aspects of training such as performance and general weight loss practices. More so then ACSM. Due to this, you are better equipped to train a wider variety of clients with NASM. 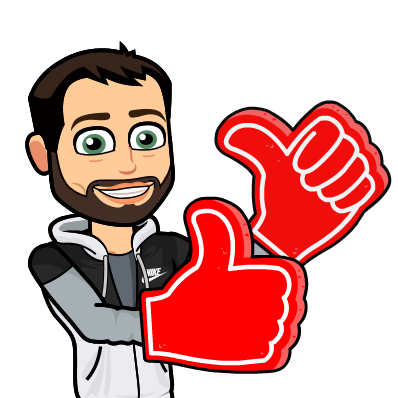 First I like to start off by saying that ACSM and NASM are both exceptionally well recognized within the fitness industry. That being said, which one is more popular in more recognized by employers. 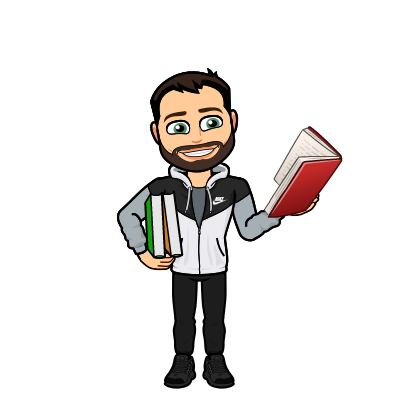 Overall, ACSM is more recognized within the clinical setting or universities that use their study materials as part of their course curriculum. Regarding which employers more recognize one or the other, it seems that the majority of gym owners or fitness facilities prefer NASM. A lot of them have the OPT training model as a standard for their personal trainers. Both will be able to lend you the job, but NASM is preferred and a higher number of facilities. One of the reasons because this is due to the OPT model being one of the “safest” ways to progress personal training clients. Lots of gym owners see this training model as a way of keeping their clients safest. According to Google trends, here is the comparison of interest between NASM and ACSM over the last year. There are three primary textbooks that you can purchase to study for ACSM. The original book focuses on the fundamentals of personal training, various techniques, and exercises that you will need to know. The most important study materials as their primary textbook. There is a second, smaller textbook that teaches you about fitness testing and screening, and how to prescribe exercise routines based on these tests. You will be able to design different routines for healthy individuals and individuals with disabilities after studying this textbook. On top of the textbooks, you also get the option of purchasing life workshops. These life workshops help you get hands-on experience. ACSM offers a one-day seminar as well as a three-day workshop. The one-day workshop costs $129, and the three-day workshop costs $375. The workshops overall are excellent. You will get much more experience with the three-day workshop. There are four different package types that you can purchase from NASM. Each different package type contains different study materials. Let’s go over each package one by one. Their self-study package is their most basic package. It comes with a digital copy of their textbook, lecture videos, and exercise library, practice exams, and practice quizzes and their official study guide. 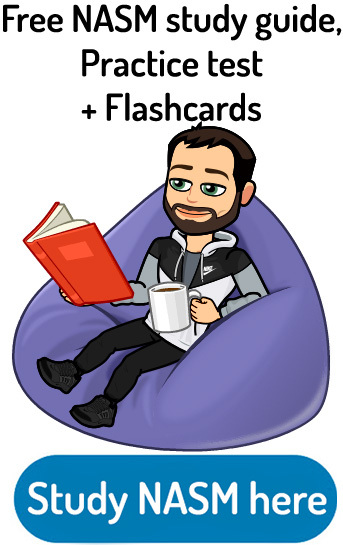 NASM’s premium self-study includes everything that the original self-study did with the addition of additional learning activities, flash card bundle’s and exam prep webinars. The guided study includes everything that the previous two did with the addition of direct access to mentors and NASM coaches, additional discussion questions, a live workshop, exam prep guarantee and a hard copy of the textbook. The most prestigious package is the all-inclusive package which includes everything the previous three did with the addition of a job guarantee, CPT development program and access to the NASM business accelerator program. The job guarantee will hook you up with free internships organized by NASM right after you get certified. I enjoyed the business program as well as it helps you focus on saving time and making more money. Overall, NASM provides a better way of studying for their exam. The study materials they provide are more organized and helpful. ACSM just host textbook material which can be difficult for some learning styles. They apply to all different types of learning styles and have much more interactive material compared to ACSM. The price for ACSM depends on which of the study materials you purchase. The cost for their primary textbook is approximately $70. This smaller textbook costs approximately $40. The third book is mostly just for reviewing case studies. This book also contains several practice tests to help you prepare for the big one. This third book costs approximately $40. You can purchase all three of these textbooks in a package for approximately $135. The exam itself is purchased separately and is $300. 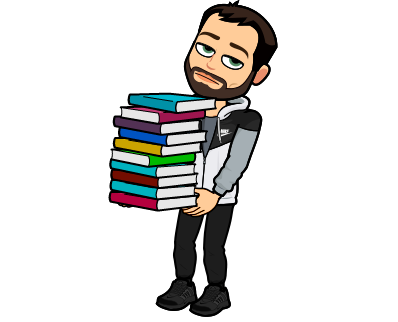 The absolute cheapest way you could go about buying the ACSM certification is by getting the primary textbook and exam only which would come out $370. If you want to get the whole bundle with the workshop and everything is can it come out to be approximately $750. Also, they frequently have specials between $100-$150 off. Right now they have a $125 off deal it can be found here. ACSM is one of the hardest personal training certifications to pass. There is approximately a 54% pass rate for first-time test takers! For the examination, you will receive 2 1/2 hours to complete all of the 120 multiple-choice questions that they provide. There is a steep retest fee of $150 if you don’t pass on the first time around. To pass the test, you need to score a 550/800 on a scaled rating. This means that some tests are harder than others so that there is not a certain amount of questions you need to get right. To take the ACSM, one needs to be 18 years old, have a high school education or the equivalent and have a current CPR/AED certification. To take the NASM certification, you need to sign up for a test date at a local PSI/Lasergrade facility. These facilities can be located in most major cities throughout the United States. You will have six months from the time that you purchase any of their packages to take the exam. The test contains 120 multiple-choice questions, and you need to receive a grade of 70 on the scaled rating to get certified. You get two full hours to answer all the questions during the test. The passing rate for the NASM exam is 64%. The great thing about PSI/Lasergrade is that you will receive your results immediately after taking the test. The NASM CPT has an even steeper retest fee of $199 if you don’t pass the first time. If you get one of their more expensive packages, they come with a free retest. To take the NASM, one needs to be 18 years old, have a high school education or the equivalent and have a current CPR/AED certification. Both exams test your knowledge of the overall curriculum very well. At times, I felt that ACSM was trying to trick you, whereas NASM provided questions that that better displays your knowledge of the material. Here is a link to my full review of NASM. You need to check out the NASM site for more information! ACSM has one of the cheapest recertification fees in the industry. It only cost $30 to recertify, and you just need to recertify every three years. 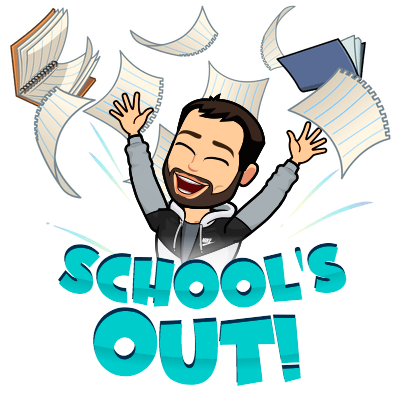 The only thing that I don’t like is that you have to complete 45 hours of continuing education units to get recertified with ACSM. To recertify with NASM, you will have to pay a recertification fee of $99. They require you to get recertified every two years and need 20 hours of continuing education units. This comes out to 10 hours every year. Overall, I like not having to worry about recertification until three years later instead of every two years. Also, ACSM costs only $30. Both of these personal trainer certifications are well recognized within the industry. I don’t know of one commercial or local gym that would not take either one of these. 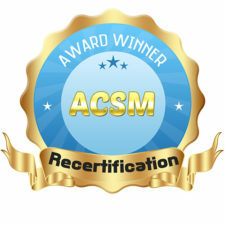 ACSM is recognized as one of the oldest and most challenging certifications. Overall, NASM one in the categories of general focus, recognition, and popularity, study materials, and the test. 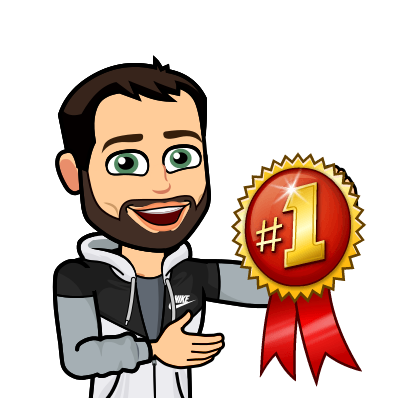 Earning NASM for first place is overall. ACSM wins in the category of overall price and recertification requirements. Earning ACSM to total trophies. The overall winner for NASM against ACSM is NASM! Check out NASM to receive $125 off the normal price! 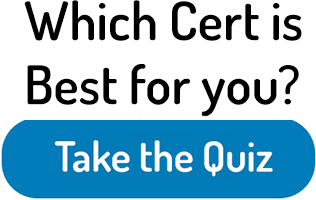 If you are still having trouble choosing the certification is best for you, I recommend that you Take the quiz to find out which is the best match for you. This test has a lower passing rate than NASM. This could be because their textbook is so dense with information. Another factor could be that NASM’s study materials are more natural to understand. ACSM is more affordable than NASM by approximately $200. Both are accredited by the NCCA which is a good thing. This means that they both follow strict guidelines in regards to their information and test-taking procedures. I think that NASM’s OPT model provides an obvious path for success, especially with new trainers. NASM also has a strong emphasis on building a business as a personal trainer which ACSM does not. Because of this, they help their trainers become more successful. Both certifications are great for working with post-rehab clients, or clients with multiple muscular imbalances. However, in this comparison, NASM wins the trophy! Their study materials, training model, and business mindset make them the top of the field at the moment. 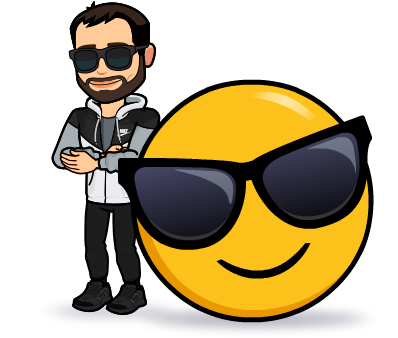 If I had to choose my favorite two certifications, they would be NASM and the American Council on Exercise (check out my review of them). Here is the youtube video that I made about 4 years ago on the same subject. Although some things have changed, my opinion remains the same more or less. 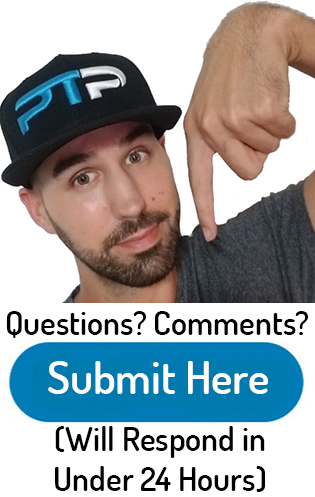 Since PTpioneer is dedicated to helping people get started in the personal training industry, let me point you in the direction of some helpful articles. I would first start out with my main guide about starting out in the personal training industry. 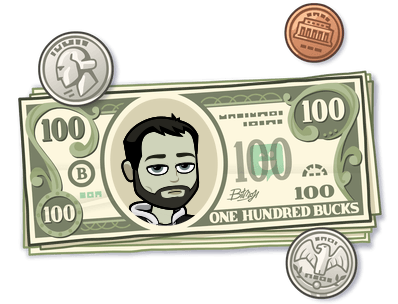 Are you wondering how much money you can make as a personal trainer? Check out my article on personal training income. This article will tell you the exact timeline you will follow to your new career. Let’s not waste any time and jump right into my ACSM or NASM article. If you would like to leave some input, don’t hesitate to write a comment below. Your information that you have provided is well put together and I will definitely take your advice on these certifications and run with it. You are the best PT Pioneer. You did a Extremely helpful job to make newbies comprehend plus to make their decisions fasters. Whether they have to go with what according to their needs. Thanks for the kind words. I hope you like the site and good luck with your future career as a personal trainer. Which one do you think you are going to go with and why?